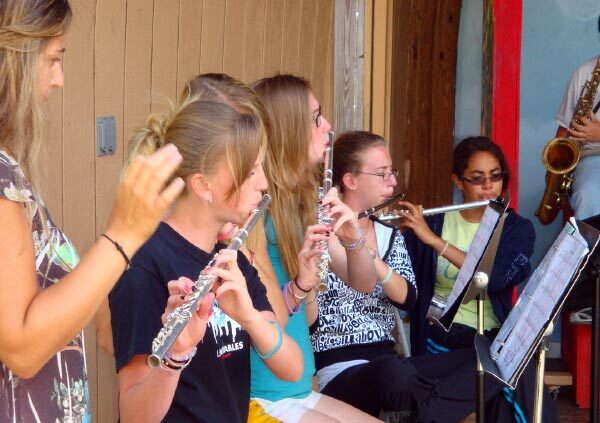 Band Camp at Camp Lohikan in Pennysylvania's Pocono Mountains. This is the place to prepare for a successful season! 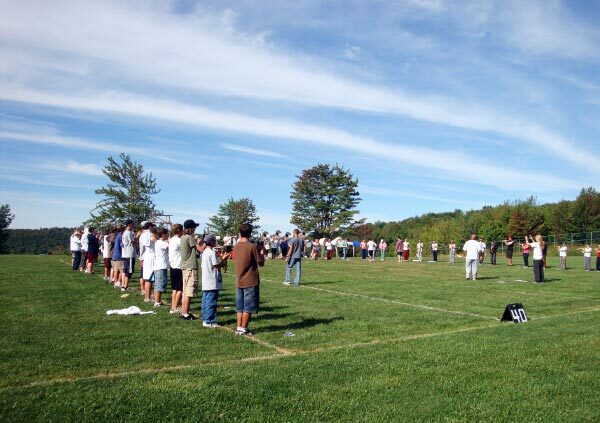 Camp Lohikan has been hosting High School Marching Bands for over 40 years! We've hosted high school marching bands with 200+ members and we've had bands with 50 members. We love them all! And they love us! We have the perfect facilities, great food, comfortable accommodations and a professional staff that makes your band camp trouble-free. Camp Lohikan is located on 1200 acres and sits on a mountain top with breathtaking views of our lake and miles of Pocono Mountain vistas. Our location is also secluded and private. It's perfect for band camp! Band members are removed from the distractions at home and can focus on making your marching band great! Our camp facilities are also perfect for band camp. Numerous indoor rooms for instruction/practicing. Numerous outdoor covered meeting areas for instruction/practicing. They range from private rooms with baths to dormitory-style cabins where a family of 5 up to a group size of 20 can be accommodated. 60+ private rooms with baths. Barbeques, food stations, picnics, short order, and sweet tables are available. Three nutritionally balanced meals are included each day. Vegetarian meals available. Click here for sample menus. Camp Lohikan is available for band camps and specialty camps from the beginning of May until the middle of June, and again from the middle of August until the middle of October. To obtain more information, call us at 908-470-9317 until June 15th. After June 15th we can be reached at 570-798-2707. Ask for me, Joe Clinton, Group Rentals Director.